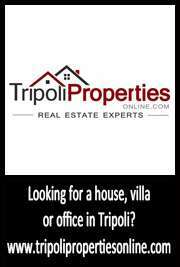 Libya offers both furnished and unfurnished housing options. For those looking for shorter rental leases, you might want to consider a furnished placed. Furnished places do cost more money than empty apartments! Depending on what type of place you find, you can spend double the money for a furnished place. The key advantage is that by taking a furnished place, is that you don’t have the headache of setting up a new house. How furnished will it be? Furnished apartments in Libya vary in how “set up” they are. Some places will have the basics while others will be stocked like your own home. Make sure you check out the place and clarify what is included before your sign the contract. You can always talk to your landlord about adding missing furnishings! If you are looking for a furnished place, the best way is to ask your local real estate agent for some options.